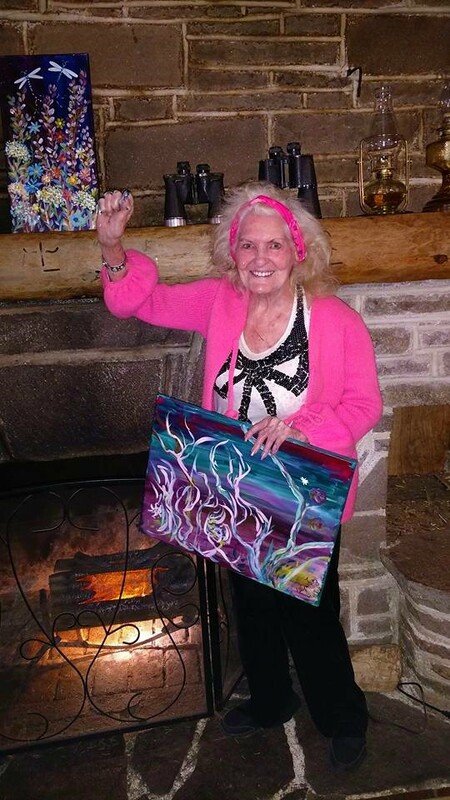 PaintnPartyOR Workshops & Party Packages - Fluid Art, Alcohol Inks, Water Colors, Wall Flowers|PaintnPartyOR|Join the Party! COMMISSIONS by request - maxine addington, owner & your artist! WORKSHOP 4 fluid art with "water colors"
Learn techniques then Create Your Own Masterpiece! Relax, we will be taking our time with water colors! 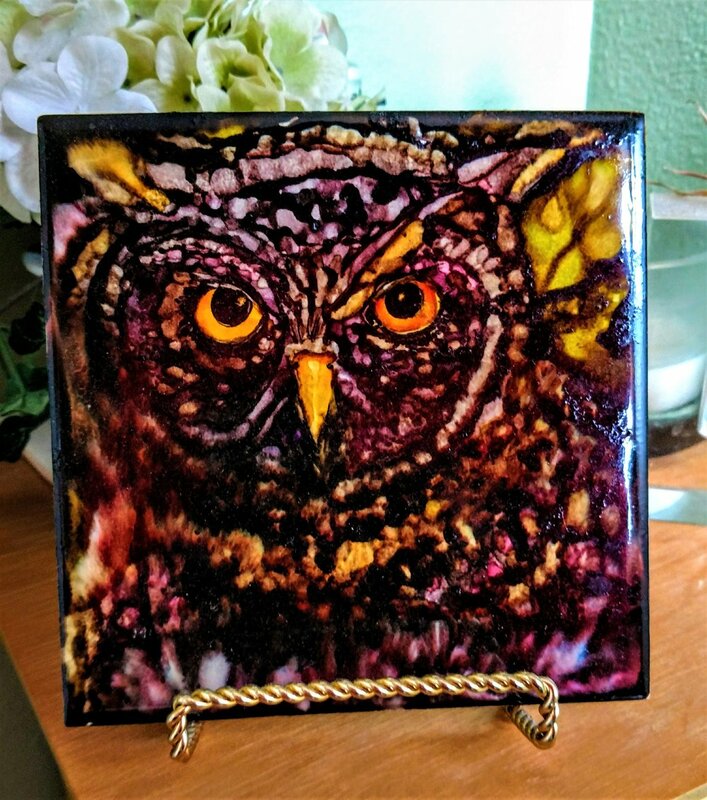 Robin asked me to paint an alcohol inks on ceramic tiles commission for her home decor, this one is called "Mama Mia" reminded us of Greece! WORKSHOP 2 “Fluid Art Dirty Pour” Acrylics Abstracts and Yes Commissions for your Walls Like Erika’s in colors she loves! Erika (right) a Salem Realtor saw my Fluid Art Abstracts on Facebook asked me to do a 5'x7' commission for her wall in "Blues and Grays in an ocean scene"
Acrylic Fluid Art on Gallery Canvas technique is called a "Dirty Pour or Flip Cup", the idea is to mix additives to create these bubble like cells. Up to 5'x7' Large size gallery canvases to fit your office and home walls. 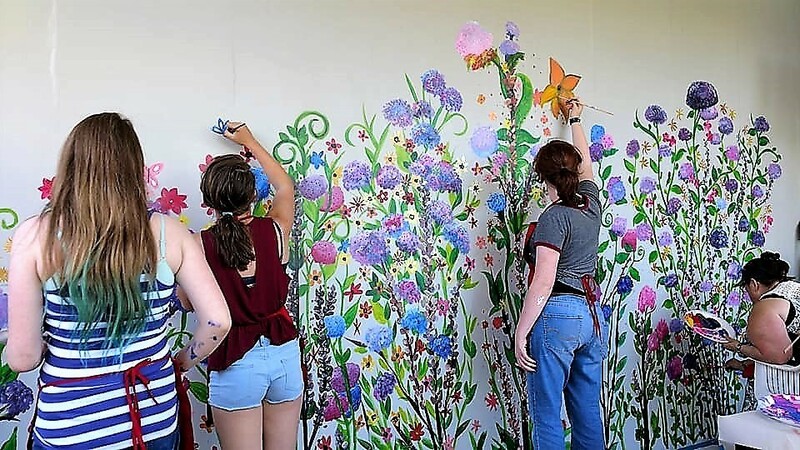 wall flowers painting party package! Small Groups of 1-20 Yes! on your blank wall or fence! In about 3-5 hours you have a beautiful outdoor wall flower garden! Perfect for outdoor picnic or potluck while you PaintnParty! Learn Fluid Art Acrylic "Dirty Pours, Flip cup, swipe"
wall flowers fence painting party on your fence! Small Groups of 1-20 On your blank outdoor fence! Observe and Learn - Create Your Own Masterpiece! 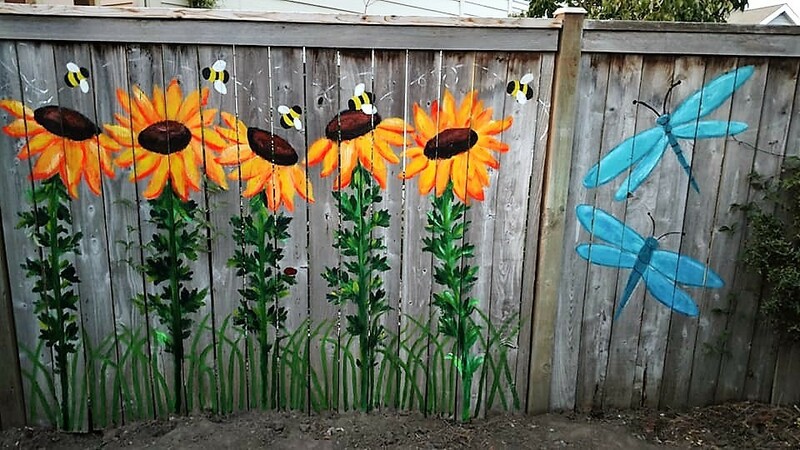 In about 3-5 hours you have a beautiful outdoor wall flower fence!